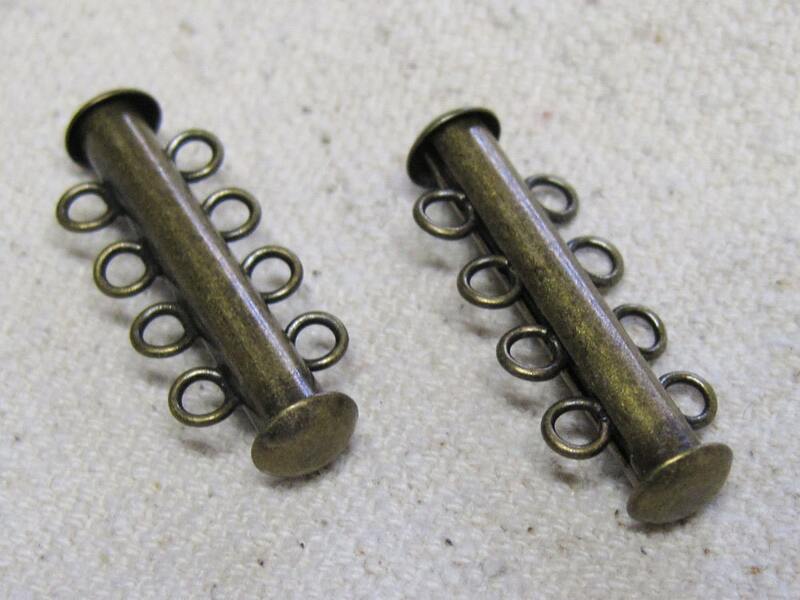 These antique brass or bronze plated 4-strand slide tube clasps are easy to open and close, and holds heavy or multiple strands securely and accommodate four strands. Clasp length is 26mm; the length of the clasp indicates the length that the clasp will add to your strand. They close with strong, self-latching inside lock. Use with bracelet and necklace designs. Only one clasp needed per jewelry piece. 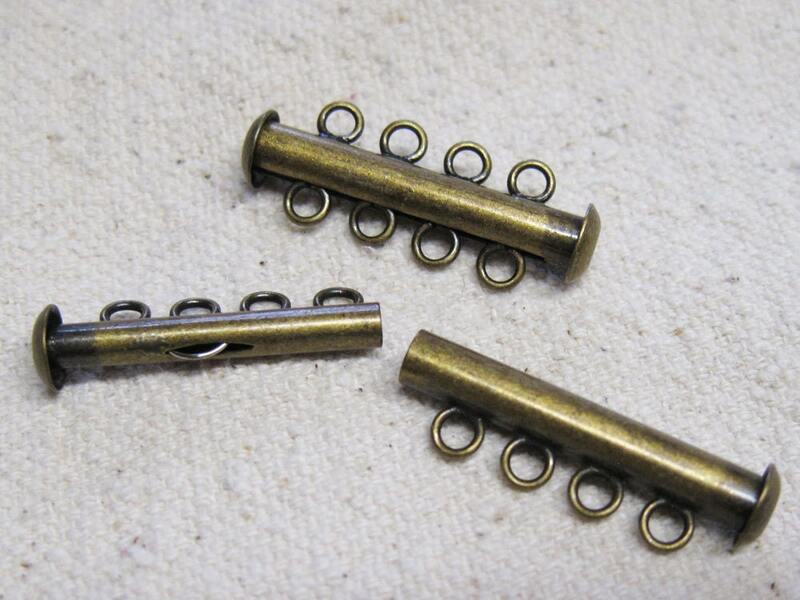 You will receive 2 antique brass clasps. Color may also be called antique brass or antique bronze. Oh boy...Just the ting I needed...TY for speedier than lightening shipment! All came safely and well packaged. Speedy delivery service too. Please don't hesitate to buy from this shop. Thank you. Thank you, thank you. Just what I needed.